William and I moved six times in the last six years of living together and every time we’ve moved, the amount of things we’ve chosen to take along has grown smaller. Even though our new home cannot be considered large, it feels spacious to us. Part of this is because we decided to buy a house with a converted garage, and in lieu of accumulating stuff there, we have a “formal” dining room, complete with one homely kitchen table and a lot of floor space. After almost four months, there are still empty cupboards in the kitchen, and an otherwise empty spare room with one lonely box of decorations sitting in its center. We got rid of furniture, too, and have so far decided not to replace. The picture I’m painting might seem sparse and uncomfortable-sounding, but I like this blank slate phase. I want to take my time to fill (or not fill) it with only meaningful or necessary things. Ideally, that means less. Hence the reason the decorations are still in a box. Can you tell I still have work to do? How to Begin: A couple years ago, I decided I had too much kitchen stuff. First, I asked myself the question: What is absolutely essential? What can I not live without? I learned from two extended stints in student accommodation in Europe that less is absolutely more. For me, a rubber spatula, couple large wooden spoons, whisk and mini-whisk, citrus juicer, and a microzester, a good chef’s and serrated knife, along with a cutting board are the essential gadgets for almost all basic cooking. I cook with a lot of citrus and spices, so depending on your cooking style, you may opt for even less. An electric tea kettle, toaster, mini-food processor, and spice/coffee grinder. We also have a large Kitchen Aid mixer, waffle iron, and indoor grill tucked away, but they get infrequent use. Third, eliminate clutter. I’m terrible at accumulating clutter, even though it makes me cranky and anxious. Our rule for small appliances is that only the tea kettle can take up counter space since we use it constantly. The rest needs to fit in the cupboards. a good chef’s knife + a cutting board – Find a quality knife that feels good in your hand. You’ll know it’s the one when it feels right. I like mine to be a little on the heavier side as it feels more stable. electric kettle – We’re not regular coffee drinkers but we love tea. Like multiple cups a day. An electric kettle boils water fast, plus I use it when cooking often for when I need hot water. My current one has a few settings for heating water to different temperatures. I frequently use the lowest setting for sipping warm water with lemon during these chillier months. Le Creuset 2 qt. dutch oven – These are spendy, but I’ve had mine at least 10 years and use it almost daily. It’s my favorite pan for cooking grains. I get perfectly steamed rice with no sticky mess on the bottom every time. Some day, I’ll probably invest in one or two more in larger sizes. fine mesh strainer – I use it almost as much as the tea kettle and dutch oven, to wash and rinse grains and beans, to strain small batches of pasta, and rinse small fruits like berries. food processor and/or blender – I consider one of these essential for making sauces, dressings, smoothies, puréeing soups, etc. Admittedly, I broke an old hand-me-down blender a few months ago and still haven’t replaced it. My food processor is an old mini and since it’s still working, I haven’t been in a rush to upgrade. kitchen scale – I use mine almost daily, but I’m OCD about measurements and portion sizes. Also, it comes in handy when converting baking recipes to gluten-free and figuring out how much is one pound of beans or broccoli. microzester and citrus juicer – I’m including both of these since I use them so often. The zester is great for fresh ginger, and adding a touch of lemon or orange zest to meals or desserts. Wish List: Our last kitchen left much to be desired. We had a mini-oven and dishwasher and neither worked well. So I’ve hardly a complaint or desire for more in my new kitchen, which came with all new appliances. 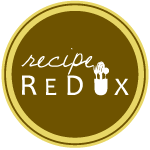 We have several items on our projects and wish lists for the house, but I’ve been eyeing a new high-speed blender from either Vitamix or Blendtec for a while now. Eventually, I’d like to replace the tile counter tops in our kitchen for easier cleaning, and to install a new hood above the stove that vents to the outside. What I like about BlueStar, is they create commercial quality products for home kitchens in a ton of customizable colors and options. I’ve been having fun looking at the photo galleries of chefs’ home kitchens on their site, and am inspired by their collection of ranges, cooktops, wall ovens, and hoods. It makes me both glad and sad that I don’t have to make any big kitchen-remodel decisions any time soon. I’m terribly indecisive! What are your spring cleaning tips, kitchen essentials, or wish list items?